There are more and more dating sites appearing every day on the internet. Nowadays, with the development of technology, online relations are also gaining popularity. Unfortunately, those who want to cheat on people are not resting too. Basically, frauds are using dating sites for they have means that can bring profit to them. To begin with, these people pretend to be common ladies who are in search for their future partner. They choose their victim whom they will make to reveal secrets and information they are interested in. Usually, they simple tell things a lonely person wants to hear to get attention and trust. 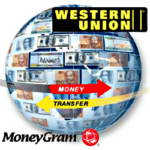 As a result, they transfer topics into discussing payment system, number of bank cards and accounts, personal data, Western Union transfers and other information that can bring income to them. There are really lots of example of scamming on the Internet. Due to this, many people tend to accept even true feelings as attempt to cheat. You surely must be careful, but try not to think about every lady as of a fraud by default, as this is not so. 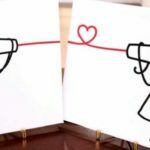 So, “Love is needing someone,” and this someone is you no matter what! This site, AntiScamInfo, was created to protect you. Our main goal is to deliver you as much information as possible on the issue of scamming in International dating services. In future we will offer you a list of those ladies who are the well-known Ukrainian and Russian scammers and of agencies who have been noticed leading illegal activities and cheating on men from all over the world. Also here you can find tips on detecting and avoiding scammers. Sadly to say that many agencies and sites that are specialized on International dating sometimes unwillingly meet with scamming. As a result, the general distrust in this field develops and men no longer trust dating on the Internet with Ukrainian and Russian ladies. How not to become a victim of a scammer? There are several standard scenarios of scammers used to making you lose your money. Remember: if you have never met a woman in person, DON’T SEND HER MONEY. Don’t raise a money question. Even if you were asked for money, don’t do this. You should refuse politely or to ignore this issue completely. Scammers will either leave you in peace or will keep on insisting, and you will understand everything yourself. Don’t reveal your money situation, possessions and salary. The only thing you may say is that you are financially stable just to let your lady know that you are able to support her in future, but in general she doesn’t need to know your exact salary. In any case it will seem big to her if compared with her country, but prices at your home also differ much. Don’t speed things up. 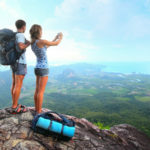 You need time for your relations to develop naturally. Scammers usually speed things up and hurry you, as they don’t want to waste their time, so don’t help them. If you want to be protected, choose only those sites that require payment for their services. They value their reputation and check each lady that is registered in their system. Even if you have some problem, they will be glad to help you solve it. Also keep in mind that such sites don’t charge women for their services, so don’t let scammers trick you here. Are These Services For Transferring Money Or For Helping Scammers? 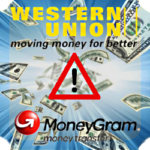 Lately, Western Union and MoneyGram became the best friends of scammers. Why did this happen so, and what are their main advantages for unfair ladies?